Avenida Menendez Seawall | Taylor Engineering, Inc.
Taylor Engineering led a multidisciplinary team in the design and construction of a replacement for the deteriorating Avenida Menendez seawall, a historic (+160-year-old) coquina block structure protecting the downtown St. Augustine waterfront. 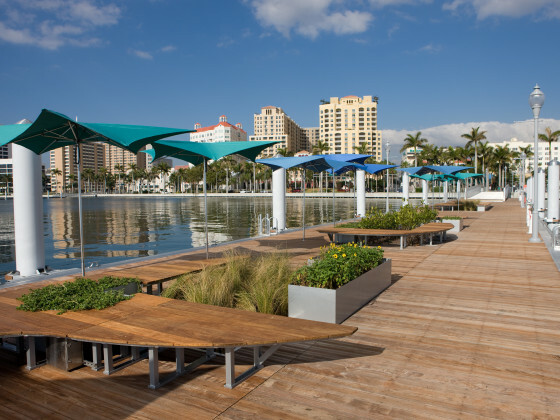 The seawall’s likely failure threatened Avenida Menendez and adjacent properties. 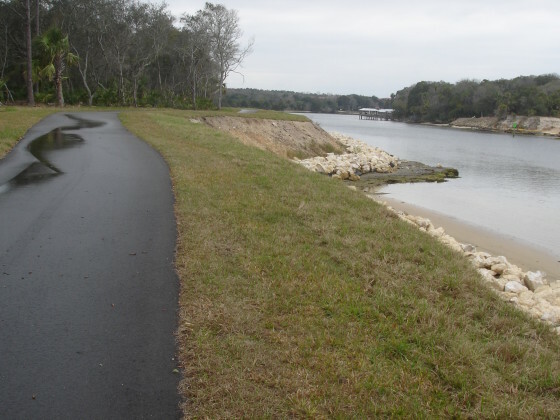 These properties had experienced frequent flooding due to the street’s low elevation and the presence of the seawall, which would trap stormwater runoff during periods of heavy rain. Extreme tidal events impeded and, in some cases, reversed the runoff discharge through the seawall’s drains. 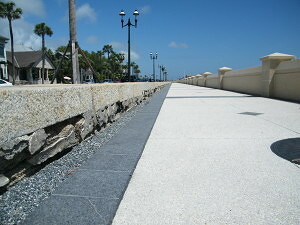 Design specifications for the replacement seawall had to address practical considerations such as storm protection, enhanced public access to the waterfront, and improved traffic flow along Avenida Menendez; as well as the preservation of the historic seawall, including Federal Emergency Management Agency, State Historic Preservation Office, and Florida Division of Emergency Management compliance requirements; and aesthetic compatibility with the historic downtown character. 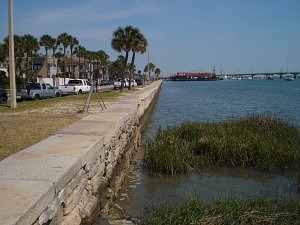 The design solution: construct a new seawall waterside of the deteriorating seawall. 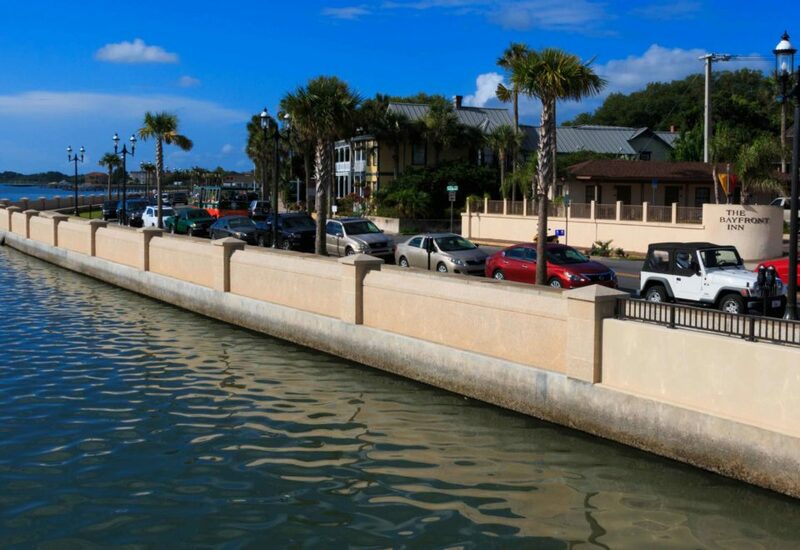 The new seawall provides better protection to the inland areas behind the historic seawall, enhances public access to the St. Augustine waterfront via a pedestrian promenade and carriage pathway, provides improved parking and traffic flow, and preserves in place the historic structure. 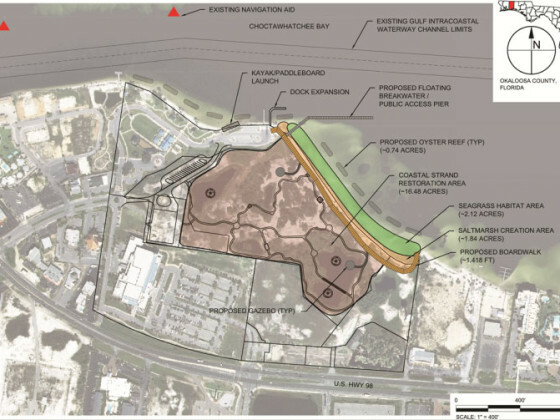 Project tasks included development of design concepts, natural resources survey, and environmental assessment and permitting, and final design. 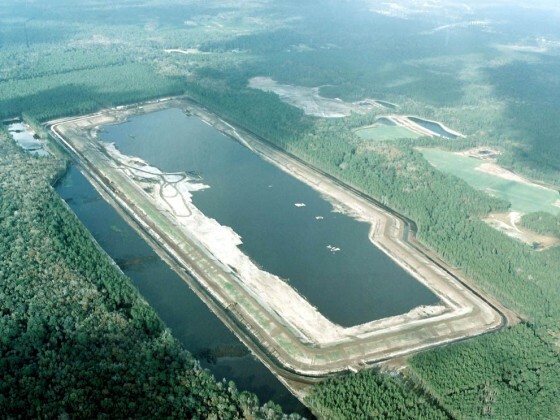 Environmental permitting issues included archaeological preservation, natural resource impacts and essential fish habitat and mitigation for environmental impacts. Taylor Engineering provided bidding assistance and construction observation / administration.